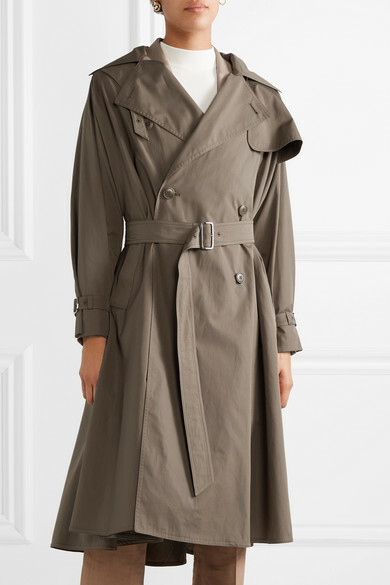 Perfect for tricky between-seasons weather, Max Mara's double-breasted 'Albano' coat has been made in Italy from dark-mushroom cotton. 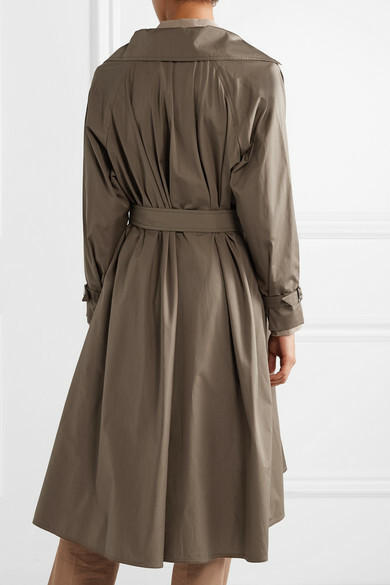 It has all the classic trench features, including a buckled belt and tabbed cuffs. 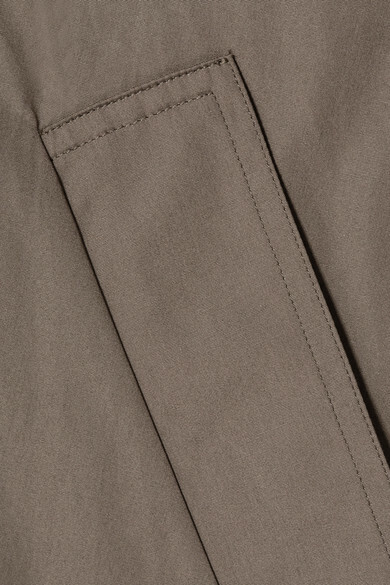 Wear yours with everything from tailoring to jeans. 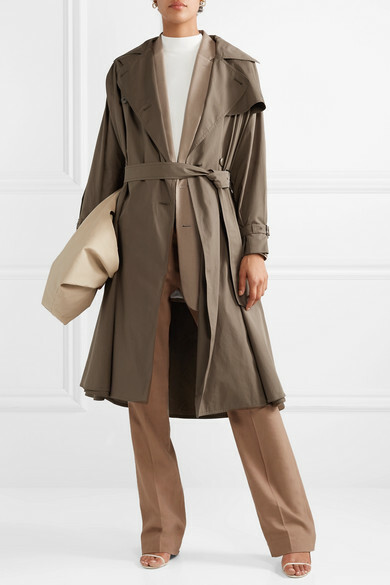 Shown here with: The Row Top, Tibi Blazer, Tibi Pants, The Row Shoulder bag, The Row Sandals.